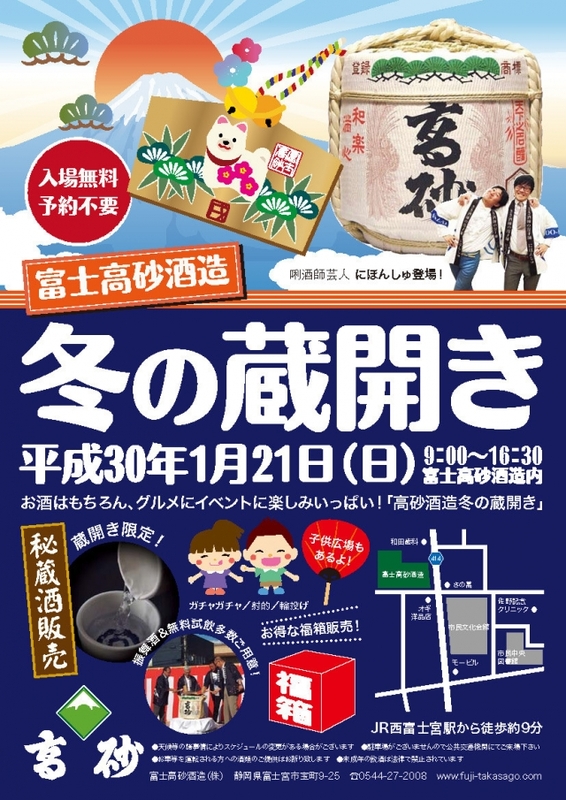 Free sake tasting and food stalls. They will sell limited rare sakes and lucky bags. You can try traditional japanese festival games. ※The schedule might be changed compelling reasons. There is no parking lot. DO NOT DRINK AND DRIVE.